The Inspector General of Police, Ibrahim Idris, has obeyed the directive of Acting President Yemi Osinbajo over restructuring of the oft-criticized Special Anti-Robbery Squad, SARS. In compliance to the acting president’s order, Mr Idris ordered the immediate overhauling of SARS nationwide. The Inspector General of Police in compliance with the Presidential directives has ordered the immediate overhauling of the Special Anti-Robbery Squad (SARS) to address complaints and allegations on human rights violations against some of the personnel of Special Anti-Robbery Squad (SARS) from members of the public in some parts of the Country. 2. In the new arrangement, a new Commissioner of Police has been appointed as the overall head of the Federal Special Anti-Robbery Squad nationwide. 3. The Federal Special Anti-Robbery Squad previously under the Force Criminal Intelligence and Investigations Department (FCIID) is henceforth to operate under the Department of Operations, Force Headquarters Abuja. 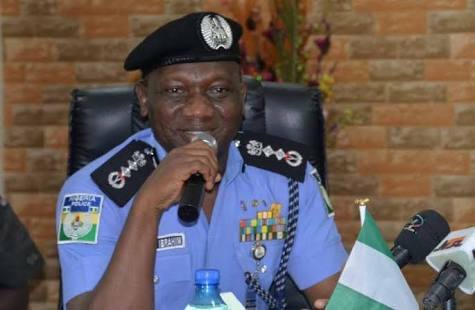 The Commissioner of Police (FSARS) is answerable to the Inspector General of Police through the Deputy Inspector General of Police, Department of Operations. 4. In observance of full compliance with the Presidential directives, the Federal Anti-Robbery Squad will be intelligence driven and will be restricted to the prevention and detection of Armed Robbery, kidnapping and the apprehension of offenders linked to the stated offences only. 5. New FSARS Commanders are being appointed for the Federal Anti-Robbery Squad (FSARS) across the country that will now exist and operate in the State and Zonal Commands under the Commissioner of Police (F-SARS) at the Force Headquarters, Abuja. A Federal SARS Commander of a Rank of Chief Superintendent of Police (CSP) but not below Superintendent of Police (SP) will be in charge of FSARS in State and Zonal Commands across the Country. 6. All Commissioners of Police have been directed by the Inspector General of Police to comply with this directive with immediate effect and warn their personnel not to pose as SARS operatives. The IGP X-Squad and Monitoring Unit have been mandated to go round the Commands and Police Formations nationwide to ensure strict compliance with the Presidential directives and apprehend any erring police officer. i. Human Rights Desk Officers for FSARS in every State to take complaints from the public and forward same to Force Headquarters, the officer will be answerable to the Commissioner of Police, FSARS at the Force Headquarters and not Commander FSARS in the States. ii. Medical/Psychological evaluation of all FSARS personnel will be carried out immediately. iii. Redesigning of new uniform with identity name tag for all FSARS personnel throughout the Country will be done immediately. iv. Henceforth, FSARS personnel will not perform Stop and Search duties except on distress call to respond to armed robbery and kidnapping offences only. 8. The Force will be transparent, cooperate, and work cordially with the National Human Right Commission on the special panel that will conduct an investigation of the alleged unlawful activities of FSARS to address grievances from the public against the personnel of FSARS in compliance with the presidential directives. 9. Furthermore, a new training program to be organized by the Force in collaboration with some Civil Society Organizations (CSOs), Local and International NGOs, and other Human Rights Organizations on core Police Duties, Observant of Human Rights and Handling, Care and Custody of Suspects have been directed by the Inspector General of Police for all Federal SARS personnel nationwide with immediate effect. 10. A committee of Senior Police officers, Technical Consultants, Human Rights/Civil Society organizations (CSOs) has been setup to review the activities of FSARS under the new arrangement. They are to pay unscheduled visits to FSARS formations across the country with particular attention to States with high complaints index, to assess facilities and situations in these States and submit report to the Inspector General of Police on regular basis. 11. However, aggrieved members of the public who have any complaint in the past or present of violation of their rights by any Special Anti-Robbery Squad (SARS) personnel anywhere in the country are to report through any of the following channels for investigation and redress. Omoni Oboli drops Toyin Abraham in new “Wives On Strike” Fans cry out!